Major Kabbalist: Unseasonable Rain in Israel is Sign of Messiah's Imminent Arrival - Breaking Israel News | Latest News. Biblical Perspective. Several esoteric sources connect rain with the Messiah, leading one prominent Kabbalist (mystic) in Israel to state that the recent downpours are a sure sign that the Messiah’s coming is imminent. Judaism is deeply rooted in the land of Israel, and the prayer for rain and sustenance reflects that, beginning after Sukkot (Feast of Tabernacles) and ending after Pesach (Passover). It is unusual for rain to fall after Pesach and certainly not in the quantity seen in recent weeks. Rain is usually seen as a blessing in Israel. On Monday, a short but torrential rainfall fell in the north, sending much-needed water flowing into the Kinneret (Sea of Galilee). But the unseasonable rains also bear a message most people are unaware of. At a recent gathering, Rabbi Dov Kook, a prominent Kabbalist (mystic) living in Tiberias who is a descendant of Israel’s first chief Rabbi, Rabbi Avraham Yitzhak HaCohen Kook, made a startling announcement at a recent gathering of his followers. Rabbi Kook announced that he had a vision of Rabbi Shimon Bar Yochai, a Jewish sage from the second century known by the acronym Rashbi and who, according to tradition, wrote the Zohar, the basis of Kabbala. In the vision, the Rashbi told Rabbi Kook that the current unseasonable rains are a sure sign that the Messiah’s arrival is imminent. 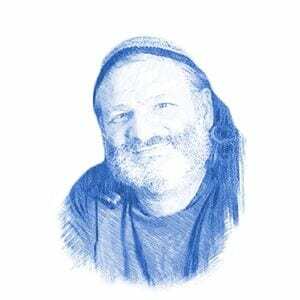 Rabbi Yekutiel Fish, known in Israel as the author of the Torah blog, “Sod Ha’Chashmal,” cited Rabbi Kook’s message and explained that it conforms to what is written in Rabbinic literature. Rabbi Fish cited the Pri Chayim (fruit of life), the teachings of Rabbi Isaac Luria, the preeminent 16th century Kabbalist known by the acronym ‘Ari’ (lion), as recorded by his student Rabbi Chayim Vital in Tsfat (Safed). “It is written in the Pri Chayim that גֶּשֶׁם (rain) is an acronym for ‘גְּאֻלָּה שְׁלֵמָה מְהֵרָה’ (‘complete redemption quickly’),” Rabbi Fish said, quoting Rabbi Chaim Vital. To further illustrate the connection between rain and the Messiah, Rabbi Fish cited an enigmatic section of the Talmud (Tractate Chulin 63a) which describes an undefined bird, alternatively identified as a sea crow or vulture named a Shrakrak (whistler). The Talmud states that when the Shrakrak sits on something and cries out its eponymous call, mercy comes to the world in the form of rain. But should this bird sit upon the ground and make its call, then the Messiah is about to come. Rabbi Avraham Arieh Trugman, director of the Ohr Chadash Torah Institute, noted that in his experience, these are the heaviest rains that have fallen in Israel so late in the year. Rabbi Trugman compared this paradoxical aspect of rain to the Messiah. Rabbi Trugman included a disclaimer with his message, referring to the tragedy in which ten young Israelis were killed.